(APRIL 4, 2017 – PORTLAND, OR) Animated content production studio HouseSpecial welcomes Kendra Phillips and Beavan Blocker to its CG team. Ms. Phillips, a CG modeler, and Mr. Blocker, a CG animator, recently landed at HouseSpecial via Moonbot in Shreveport, Louisiana. Ms. Phillips, who was born and raised in Sugar Land, Texas, had her first professional experience in animation as an intern with Pixar as a college sophomore. During her academic career, she was also named Trustee Scholar of Ringling College of Art and Design’s Computer Animation Program before graduating in 2013 with a Bachelor of Fine Arts. Mr. Blocker, who is also a graduate of Ringling College of Art and Design’s Computer Animation program and also a Texas native, was part of the Moonbot team that won a Best Animated Short Oscar (Fantastic Flying Books of Mr. Morris Lessmore) and the beloved The Scarecrow commercial created for Chipotle Mexican Grill in 2013. “I was drawn to HouseSpecial because they have such a large variety of work, plus the studio gives CG artists the opportunity to work side-by-side with stop-motion artists,” Ms. Phillips said. As part of HouseSpecial’s CG team, Ms. Phillips and Mr. Blocker will work on iconic brands like M&M’S, Supercell’s Boom Beach, Planters and Chipotle. “HouseSpecial has been consistently creating great work that I've admired for years. As I get to know the folks here, I've found them to be a great and talented group of people who have all been incredibly welcoming. Also, dogs are allowed in the studio,” Mr. Blocker said. Both artists were drawn to the natural wonder that Oregon is famous for… plus many other perks found in Portland. Mr. Blocker: “I was finding any excuse I could to come visit Portland and I dreamed of living here for some time. The food (and by extension beer, wine and spirits) is incredible, the people are kind and welcoming, and it's in one of the most beautiful parts of the country with every outdoor activity I could possibly want a stone’s throw away." Ms. Phillips also brings creative imagination and a fierce competitive spirit. She is the creator of Chumbuddy, a popular shark-shaped sleeping bag, which she designed in 2008 as a freshman at Ringling. Since its successful release she’s added an orca, an alligator (now discontinued) and a squid to the sleeping bag line. On a more physical side, Ms. Phillips placed second nationally in the Camp Gladiator Games last year beating hundreds of athletes from around the country. Mr. Blocker, a fly fisher, looks forward to catching a steelhead trout and perfecting his homebrew abilities. Portland animation studio, HouseSpecial, is globally known for its ability to develop characters in narrative environments for iconic brands like M&M’S, Supercell’s Boom Beach, Planters, Apple, ESPN, Target and Honey Nut Cheerios. The directorial team has collaborated with advertising agencies Barton F. Graf, Goodby, Silverstein & Partners, Wieden+Kennedy, TBWA\CHIAT\DAY, Leo Burnett and BBDO (and many others...) on hundreds of spots – many of which earned big awards and are part of advertising lore. 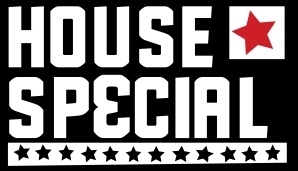 HouseSpecial is helmed by long-standing industry leaders Lourri Hammack (President.EP), Kirk Kelley (CCO) and Alvaro Cubillas (COO). The bonding mission of this guiding trio is to push strong creative through all the phases of production all under one roof – from initial design to preproduction to animation to creative editorial and finally to in-house post production.